Mint peanut chutney recipe – There are so many ways a peanut chutney is made. One such variation is this recipe. 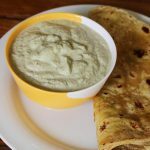 This Mint peanut chutney is one of the most made chatni at home for the breakfast. It goes wonderfully well with most South Indian foods like dosa, idli, onion uttapam, masala paniyaram, mysore bonda and even with roti or paratha. This peanut mint chutney turns out to be creamy, delicious with fresh flavors of mint and ginger. Peanuts are high in protein and are apt to use for breakfast and this is one of the easiest ways to add nutrition to the food. Peanuts can be used to make most chutneys like capsicum chutney, badam chutney, ridge gourd skin chutney. I try with lot of variations to the basic peanut chutney. Adding mint leaves is one which I like the most, since mint too provides us with health benefits especially when consumed raw. It is great for digestion too. You may also like this onion peanut chutney. Mint Peanut chutney can also be used for sandwich as a spread. I have not tempered the chutney as it really does not need. You can find more chutney recipes here. Heat oil in a wide pan, add chilies and fry for 2 to 3 mins, set aside to cool. Fry peanuts in the same pan till they are roasted well. Set aside to cool. Transfer all the ingredients to a jar and grind to smooth with enough water. This chutney needs no tempering, if you desire you can with curry leaves, mustard, cumin, garlic and hing. Serve mint peanut chutney with idli, dosa, paratha. Want to fry mint leaves?? Or raw 1? I use mint leaves raw as they are good for health. If you do not like raw smell of mint then you can also add it to the pan after frying peanuts. Just fry for 2 mins. 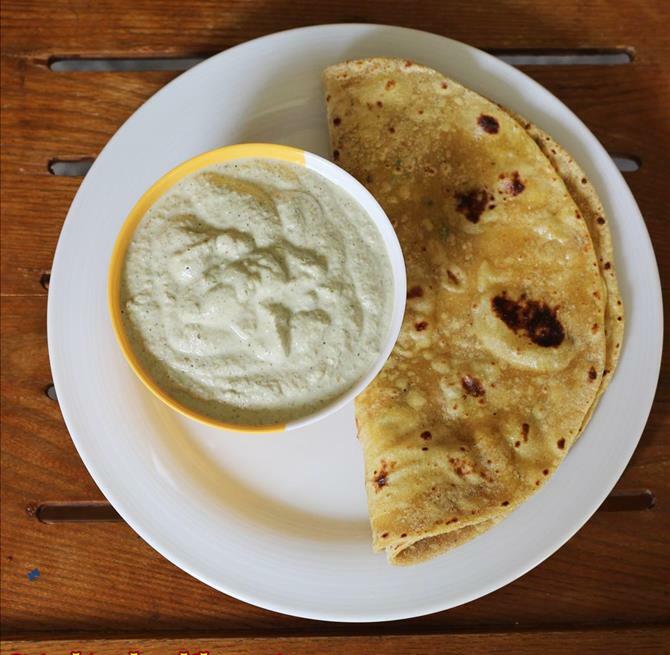 lovely commbo peanut with mint…breakfast can never be forgetfull! like the addition of mint leaves here.. Extremely delicious and flavourful chutney. 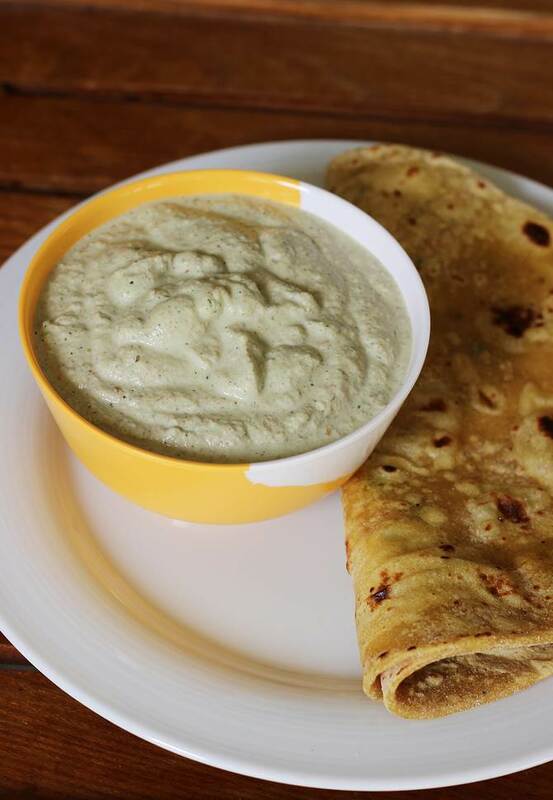 Never have thought of peanut and mint together but here I see both in an inviting dip for rotis. very very flavorful and delicious looking chutney 🙂 look so yummy ! !